Dawn Forter became a member of the Meadow Montessori staff as the Physical Education teacher in 2008. Dawn has spent time as an assistant in the upper elementary classrooms and has served as the athletic director here at MMS. She is a certified teacher with seven years of experience in an elementary classroom setting. She is a graduate of the University of Detroit Mercy where she completed her undergraduate studies and was a member of the softball team. Dawn continued her education at Eastern Michigan University and earned K-12 Physical Education Certification. Dawn has been an instructor at clinics such as Y.E.S. (Youth Education through Sports) sponsored by the NCAA, the One World: Connecting Communities, Cultures and Classrooms Program sponsored by the NFL and several youth softball clinics in the community. 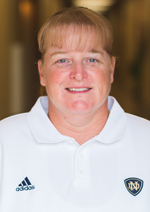 She has spent time as a Division I College Assistant Softball Coach and has been the Head Varsity Softball Coach at Ida High School since 2004. Dawn Forter can be reached at dforter@meaodwmontessori.org.